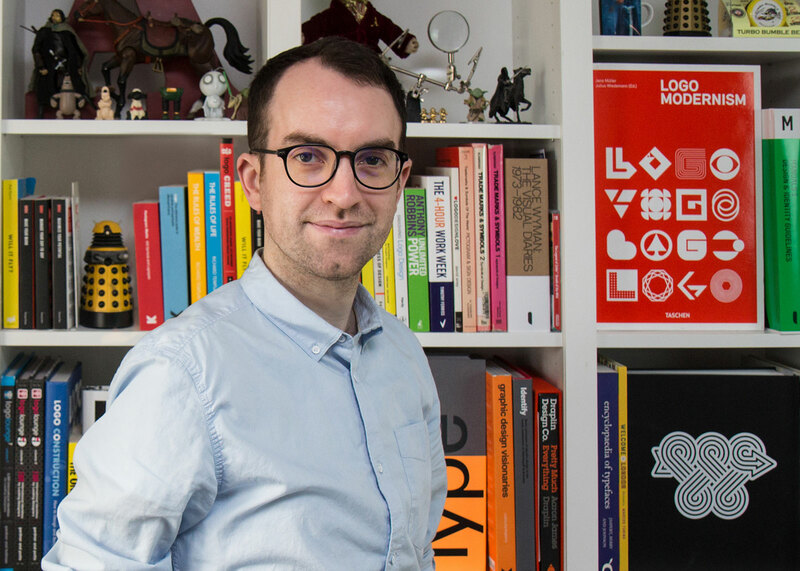 Today I like to present you an inspiring Logo designer from Manchester: Ian Paget from the Logo Geek. The first time I met him, I was listening to his Podcast Logo Geek, which I can not recommend highly enough. Not many designers I like their work have also a good podcast and a constantly growing Facebook group. You can find all the links at the end of the interview. Now I am grateful for Ian’s kindness and time to answer the following questions. Growing up I was really into things like Wallace and Gromit and Star Wars, so I was keen to either be a stop motion animator or work in movies. That didn’t quite go to plan, but thankfully I still ended up in some kind of creative job! What are you most like about being a Freelance designer? I love being able to have full ownership of everything you do. When you do anything for an agency/company they own that work and get the credit and recognition for it. When you work for yourself every piece of work you ever do is something you can proudly include in an online portfolio. You become recognized for the work and can take the full credit. It means your reputation as a designer will grow the more you do. You also have more freedom, meaning you can travel more too. You need to work a lot, but the freedom to choose when and where you work allows you to travel much more frequently than you ever can when working for someone else. What was the best or worst piece of business advice you were ever given? I once had someone tell me that it doesn’t matter how you do something, it’s the end result that matters. That means if you need to create a vector illustration of a hand, taking a photo and tracing it is not cheating. When I started out as a designer I think I was trying to prove a lot to myself so did everything manually, but now I focus on getting the job done rather than how it was done – nobody will ever know. Name a designer or Entrepreneur, past or present, whom you admire? I really admire Pat Flynn, the man behind the Smart Passive Income podcast and blog. I’ve been listening to his podcast for years. I love his honesty and transparency, and his friendly approach. But he also shares so much value for free – I’ve learned so much from him. From a design perspective, I would have to say, Paul Rand. No others have written such precise words of wisdom on the topic of logo design. He really is the master of logo design. What tool, object or ritual are indispensable in your workday? I’m a big user of Trello and Google Calendar. Combined they allow me to keep really well organized. I used Google Calendar to manage my projects from a high level perspective, meaning I know when and if I can book in new projects, then I use Trello to manage the specific steps of ongoing projects. What are you most proud of in your business experience? Most recently I’ve been incredibly proud of my podcast. A few years back I was diagnosed with social anxiety, so the idea of putting myself in the spotlight and recording my own voice was terrifying… but… I used podcasting as a way to challenge myself, to become more confident and to help me become a better speaker. Through pushing myself I’ve been able to speak at length with big names in the design industry such as Aaron Draplin, David Airey, and Tom Geismar. On top of this as I’ve made daily steps to build an audience, I’ve also received sponsorship too. It means I get paid to do something I want to do for myself. It’s been an incredibly rewarding experience personally, helped me to learn more about design, and also help to grow my audience further. I think pushing through your fears is worth doing, and I’m so thankful that I’ve built my own platform that’s putting me in the position to really challenge myself. Name your biggest lesson you learned as a Freelance designer? This may sound silly, but nothing happens unless you make it happen. If you want to do something with your business you need to sit down, plan and schedule time for your projects, both long and short term – it’s hard. Scheduling time properly is fundamental to ensure you spend the time needed to fulfill your goals, and you need to make sure to stick to your plan, otherwise, nothing happens. How do you handle mistakes or failures to learn from them? Every time something goes wrong I reflect on what I could have done differently to have prevented that, and make the necessary changes. Too many designers put blame on the client, but in most cases ‘mistakes’ are caused by a hole in your process. For example, when I first started out on my own I naively thought I could handle revisions, and that I could convince clients in the right direction… so, agreed on unlimited revisions on my logo design work. But, I had a nightmare client – one that would request specific changes, then when you did that they would change their mind over and over. It dragged on, and I eventually needed to stand my ground. Since then I still offer unlimited revisions, but in my terms and conditions, it now has a time cap, so that in the event that the client is unreasonable, I have grounds to say no, or to charge more. Not really, but recently I have started to imagine myself as an 80 year old with regrets who can time travel. Any time an opportunity that comes along that scares me so much I say no, I imagine being 80 and having the ability to travel back in time to that moment to instead say yes, so I don’t ever need to regret… so… in short “No regrets”. It’s better to try and fail rather than to never have tried. If you were magically given 3 more hours per day, what would you do? It’s such an interesting question and very hard to answer… I’d like to say I’d work on something clever, but in all honesty, I’d probably sleep longer. Not very inspiring I know, but I think rest is important and I probably don’t get enough of it.